An eight series Bible Study Correspondence Course is offered free to prisoners. 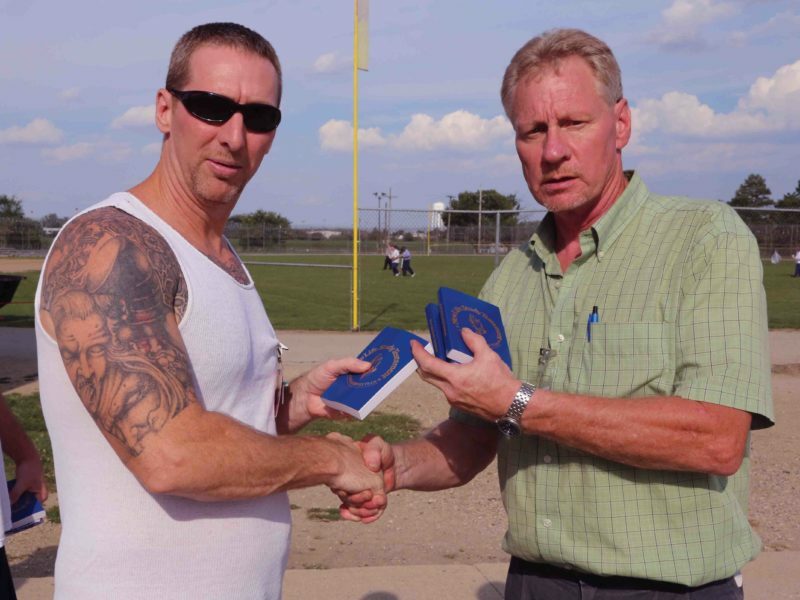 After the first set of four basic courses is completed inmates receive a personalized award Bible with their name engraved on the cover. The first five Bible Study Courses are now also available in Spanish. 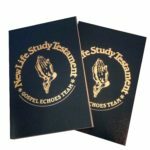 Gospel Echoes operates a printing department where the Bible Study Correspondence Courses, Scripture Address Booklets, and other literature are printed for the ministry. 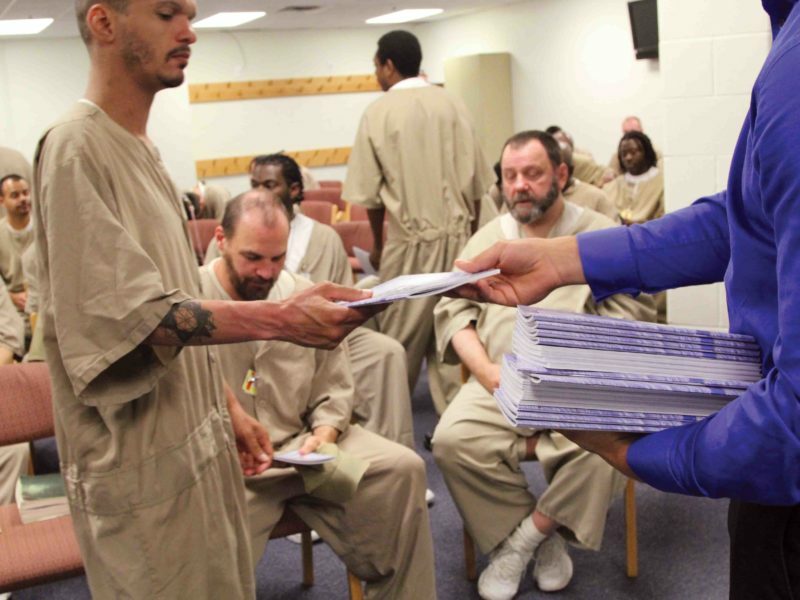 Each grading center has a coordinator who receives the Bible Study Courses from the prison and distributes them to the graders. There are over 700 volunteer graders who serve as in-home missionaries, sacrificing many hours to bring hope to prison inmates and impact their lives with encouraging remarks and study helps as they grade their lessons. 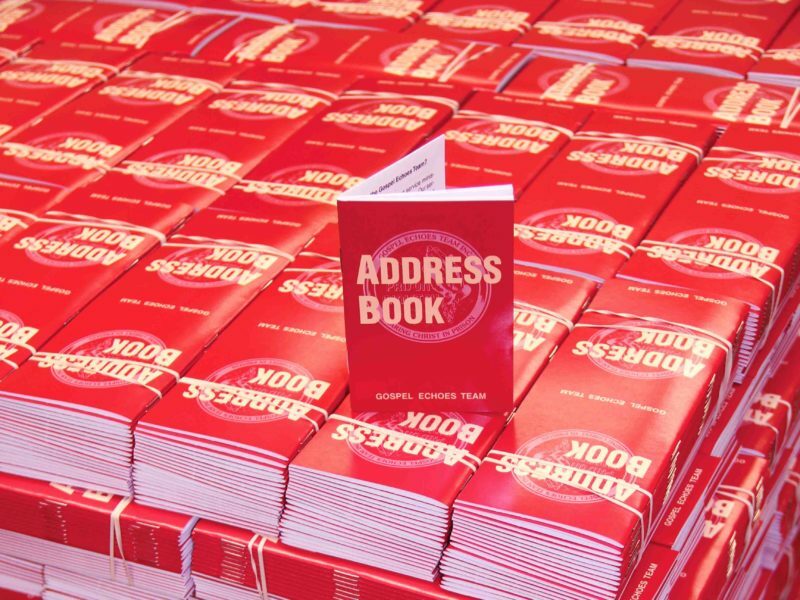 This pocket-size address booklet is one of the most prized possessions of the prisoners. It provides space for names and addresses of loved ones, a current and “next year” calendar, and scripture verses introducing the plan of salvation. Many chaplains use this gift booklet to introduce their ministry programs to inmates. For some this is their only connection to the free world. This gift is treasured, as inmates are limited in what they are allowed to keep in their personal property. Gospel Echoes provides an 850 word, simplified, easy-to-read pocket New Testament. This Testament includes a topical index with 180 pages of special study helps. New believers are led through a series of studies that will strengthen their faith. These helps are fundamental in building a strong foundation on God’s Word. 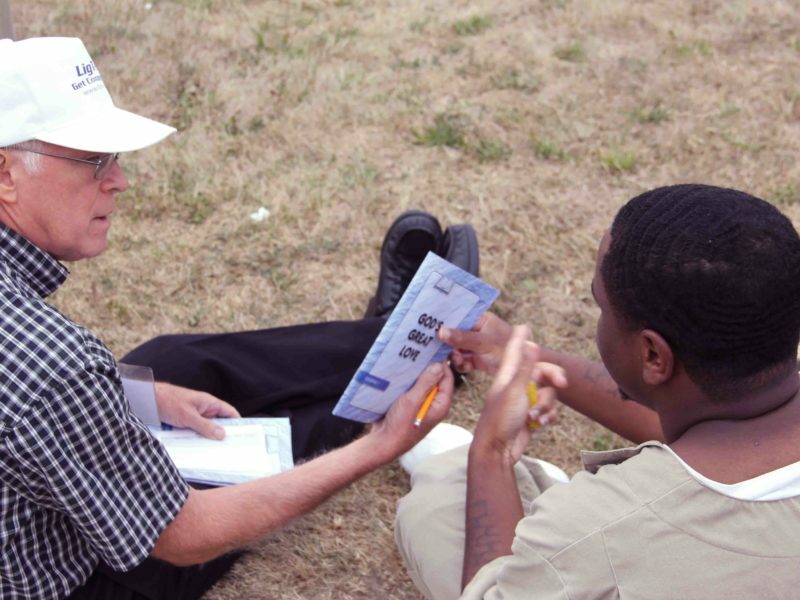 Since 1976, Gospel Echoes has been sharing the good news of the Gospel by providing discipleship materials for prison inmates. 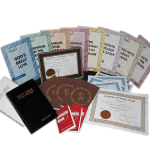 Gospel Echoes operates a printing department where the Bible Study Correspondence Courses, Scripture Address Booklets and other literature are printed and made available for the ministry through prison chaplains.